WASHINGTON, D.C. (May 7, 2018) – Mortgage applications decreased 2.5 percent from one week earlier, according to data from the Mortgage Bankers Association’s (MBA) Weekly Mortgage Applications Survey for the week ending April 27, 2018. The average contract interest rate for 5/1 ARMs increased to a survey high of 4.03 percent, from 3.98 percent, with points remaining unchanged at 0.44 (including the origination fee) for 80 percent LTV loans. The effective rate increased from last week. 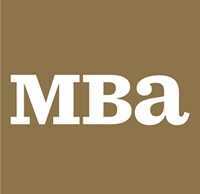 If you would like to purchase a subscription of MBA’s Weekly Applications Survey, please visit mba.org/WeeklyApps, contact "> or click here.